If you follow me on Instagram, you know I announced that my family is expecting a baby! 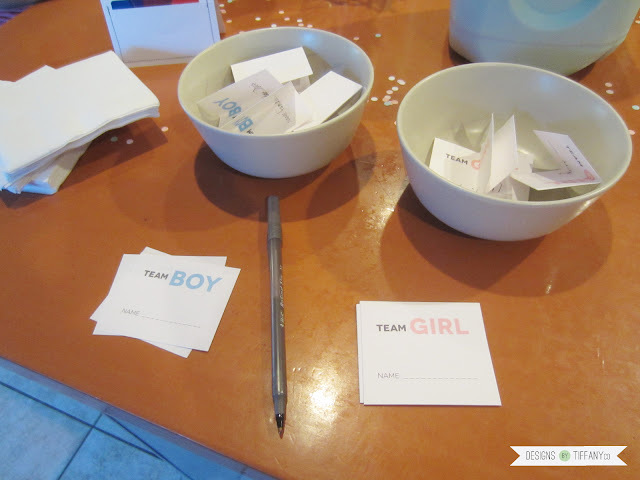 My family had a reunion around the same time we could find out the gender, so I decided to do a gender reveal party with everyone. 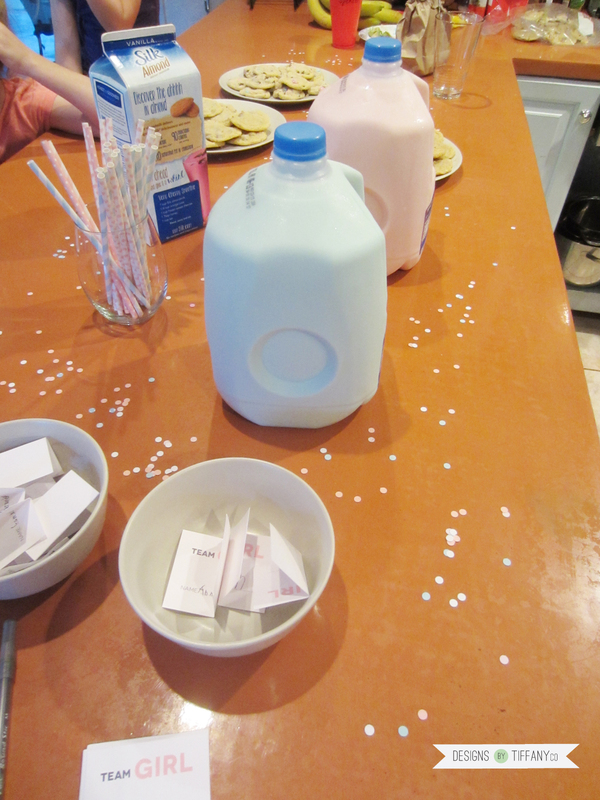 I saw this idea to do a milk and cookies party, where the color of the milk which is poured reveals the baby’s gender. I decided it would be perfect for a big group and it’s an idea that’s pretty different. For the decorations, I went more simple because I didn’t want to be packing a bunch of stuff. Paper straws that were pink and blue were a must! I ordered from PinkPoodlesDeux and had zero problems, plus it was cheap, so I’ll most likely order from there again. 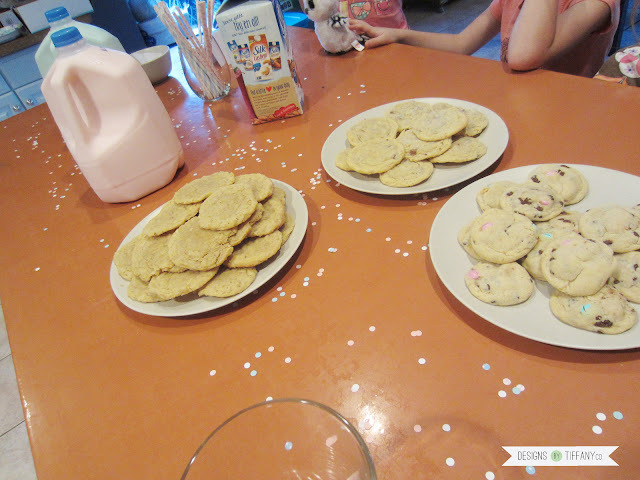 I also had some pink and blue paper confetti and that was it! It was so sim-ple (said in an Italian mafia’s voice). I started off with a raffle to build the suspense and the winner would be picked from the gender’s bowl. The prize was a $5 gift card (high stakes here, people!) and I made a little card holder using the sewing technique I had here on the blog little while ago. For the food, I had 3 different types of cookies. One batch was pink and blue M&M cookies with chocolate chips, so that was another way to bring in the pink and blue. I had bought some pastel M&M’s from the Easter clearance sales, which was why I happened to have those colors. I know you can custom order specific colors, but it was perfect for me to already have it on hand. I also had coconut cookies and plain chocolate chip. My family isn’t picky and we love chocolate. 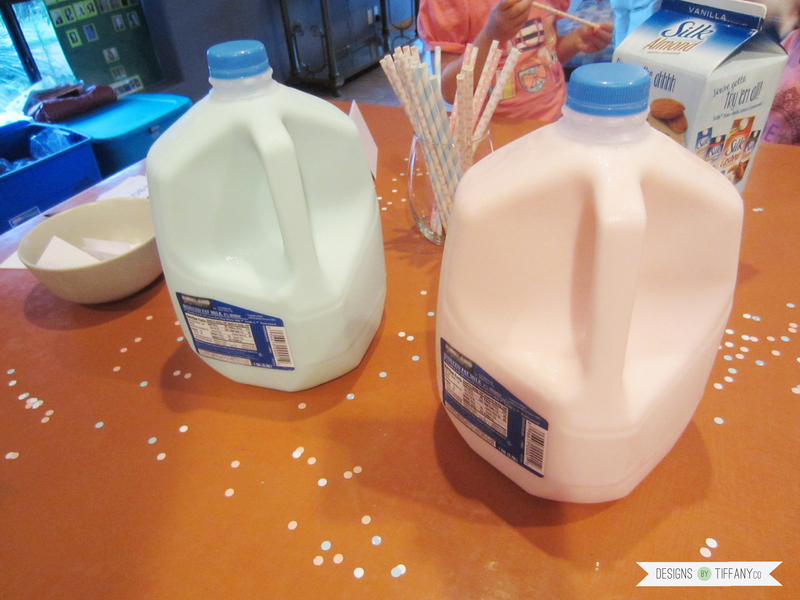 Then I had 2 gallons of milk to make sure everyone was able to have a glass and I thought coloring those blue and pink would bring in the theme as well. 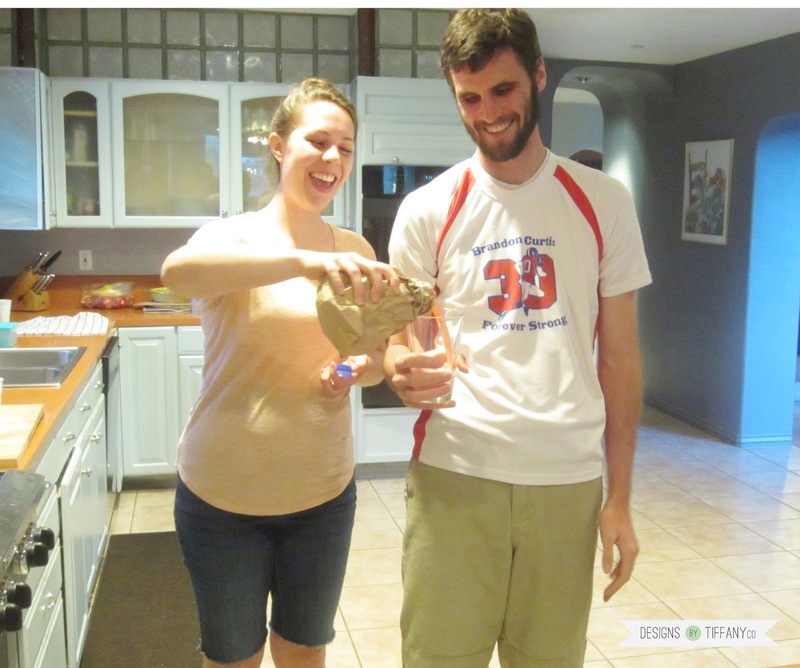 What we did to reveal the gender, was I bought a smaller jug of milk and put it into a brown paper sack (like one of those lunch sacks). That way it was hidden before it poured. Then when it was time to reveal, we poured it into a glass cup for everyone to see! Then we all were able to enjoy a delicious dessert after the fun surprise. 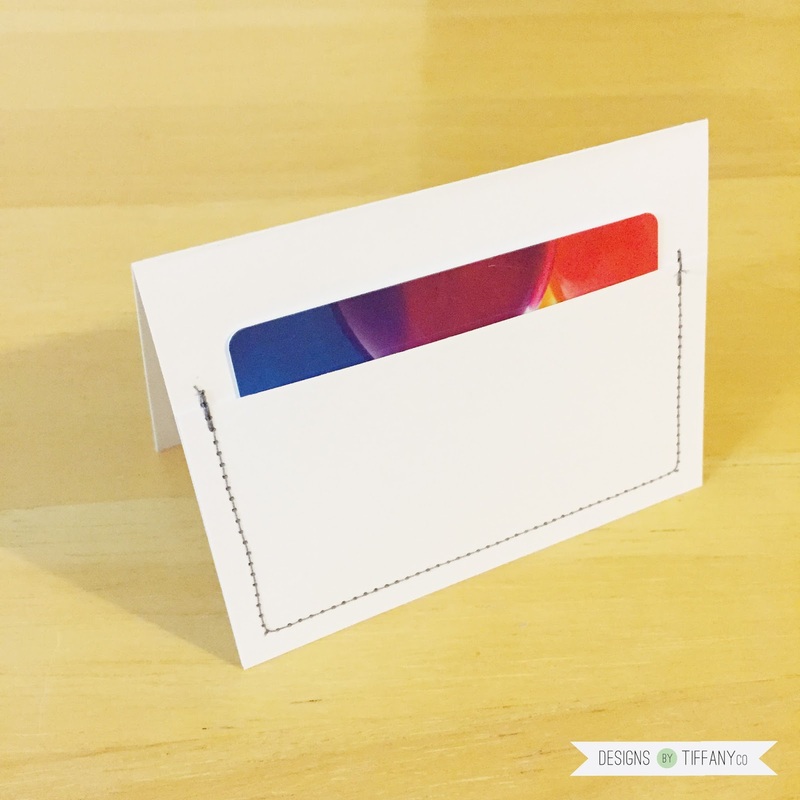 The raffle was such a fun way to start off the party, I wanted to share it with you by making a free printable for it! Enjoy!